Children learn how God gave good guy Gideon the strength to fight the mean men of Midian. 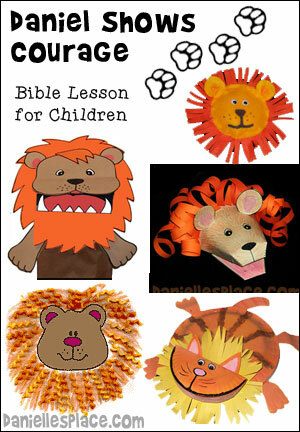 The following crafts and activities about Gideon come from The Resource Room. 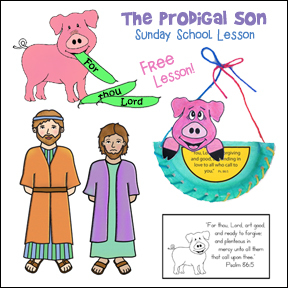 The complete lesson "Gideon - Brave and Mighty" is available to members and as an instant download. 1. Before class print out the activity sheets and make copies. A printable pattern for this craft is available to members and as an instant download above. In class ask your preschoolers to see how many Israelites they can find. Ask them why they think the Israelites might be hiding. Ask them if they have every been scared or hid when they were frightened. 2. In class have your children search for words that relate to the lesson. 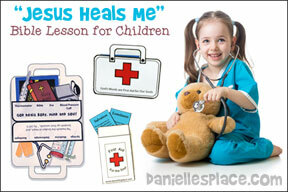 When a child finds a word ask him or her how the word relates to the Bible lesson. Keep playing until all the words have been found. 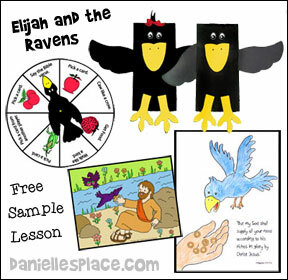 Older children will enjoy coloring a Bible verse picture. A printable pattern for this craft is available to members and as an instant download above. Bring in some sheaves of wheat. (You can buy these at craft stores. You will find them in the dried flower section. They are used in flower arrangements.) Tell the children that people in Bible times made flour for bread from wheat. First they had to separate the seed from the chaff (outer part of the grain). To do this they laid the wheat out on a cloth on the floor and beat it with sticks or had their animals walk over them. This was called threshing the wheat. Once the chaff was knocked off, they had to separate it from the seed. To do this they would place a blanket on the ground and then throw the seed and chaff straight up in the air on a windy day. The wind would blow the chaff away while the heavier seed would fall to the ground. This was call winnowing the wheat. They would then pick up the seeds and grind them into flour. Spread out a clean tablecloth on the floor or on a table. (You may want to do this outside on the ground.) 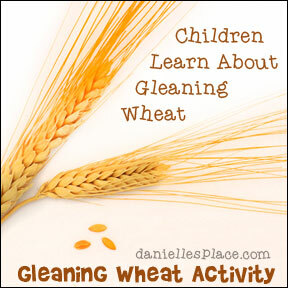 Show the children the wheat. Show them how you can rub the seed cases (chaff) in your hand and the seed will fall out. Let the children try. (If you have very little children, you may want to give them a cloth to put over the wheat and then have them rub the cloth over the wheat on a paper plate. The wheat can be a little prickly.) Once the children have removed all the seed from the chaff, tell them to remove the long stems from the table. Show the children that if you blow lightly over the top of the plate the chaff will blow away leaving the heavier seeds. Once the seeds are separated, the seeds would be ground between two rocks to make flour. Tell them that in our story today a man was threshing and winnowing his wheat. 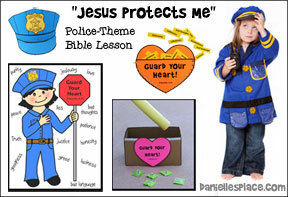 Preschoolers will love trying to find Good Guy Gideon behind the flaps. This activity comes with three different printable character patterns so Gideon will be hiding in different places when the teacher changes the back pattern. Children will also be eager to see what is hiding behind the flaps including: a monkey, gecko, camel, lion, bison, dinosaur, gorilla, bears, and an alligator. 1. Before class print out and the landscape picture and character sheets. 2. A printable pattern for this craft is available to members and as an instant download above. 3. Cut out the flaps on the solid lines. 4. In class place a character sheet behind the landscape pattern and have the children take turns picking a flap and lifting it to see if Gideon is behind the flap. 1. Before class print out the two pattern sheets and cut the cards apart. 2. Cut out the Good Guy Gideon figure and tape it to the back of one of the cards. Use a tape that isn't very sticky, such as painters tape, so you can remove the figure and place it on another card. 3. In class have the children take turns trying to find Good Guy Gideon. Let each child pick a card until someone picks the one Gideon is hiding under. Play again if all your children have not had a chance to play. *If you don't want to use the cards, you can just hide a "Gideon doll" or a picture of Gideon in the room and see who can find Gideon first. 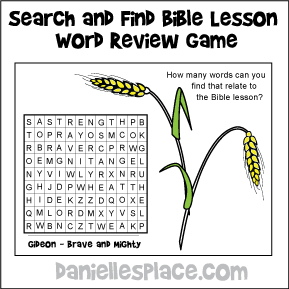 Relay Race 1 - Review the Bible verse several times before playing this game. Break your children up into teams of four. Mix up the pictures and place the pictures on the opposite side of the room from the children. 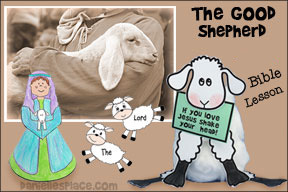 On the word go a team of four children should run up and grab the picture cards, hold the cards in front of them, get in order of the verse and then each child says what is written on his or her card. The team that does it in the least amount of time wins. 2. Stand firm in the faith - Children hold both arms, hands in fist, above their heads. 3. 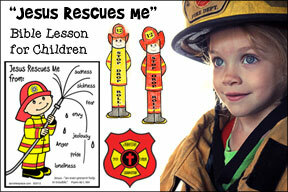 Be courageous - Children pretend to be holding a firehose. 4. Be Strong - Children pretend to be making muscles. Show your children the first card and have them say the words while they do the motions. Go over it several times until your children know the words. Keep playing, changing cards faster and faster, until the children know the verse and can say it without the cards. Place the Children in Order - Mix up the cards and place children into groups of five. Show four child one each of the cards without showing the fifth child. The four children should then do the motions for their part of the Bible verse and the fifth child should tell them where to stand so that they are in order of the verse. 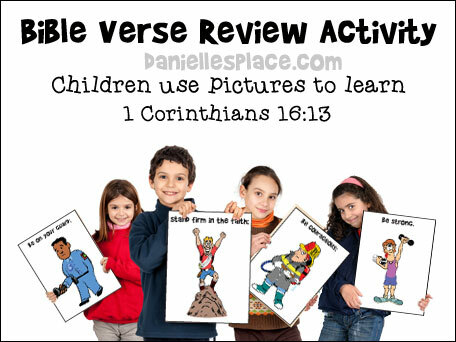 The other children in class should say the Bible verse using the children to help them remember the verse. 1. Before class print out the patterns and make copies. 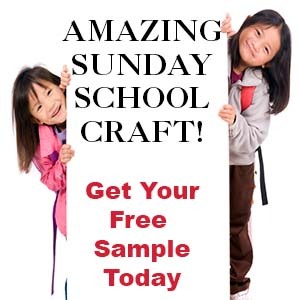 You can use the complete poster and print it on white paper, or print the background pattern onto colored paper and the Bible verse patterns onto white paper. 2. 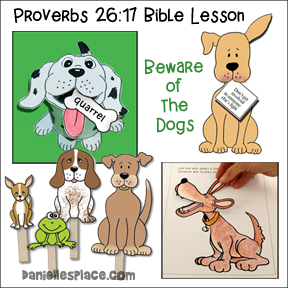 Cut out the Bible verse patterns. 3. 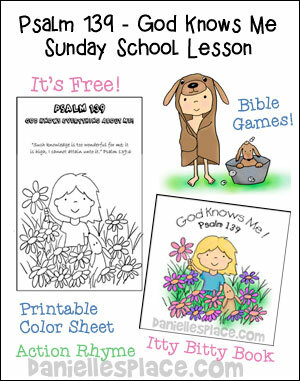 In class have your children color the Bible verse sheets with colored pencils and them glue them to the background sheet to make posters. Just pray to God each day. Sing to the tune of "This Old Man". Trust and obey, Trust and obey. Let love live in your heart today. For my 2-6 year old Sunday school class today, I used the lesson "Gideon - Brave & Mighty". I covered a table with a blanket, and we used our imaginations to pretend that we were hiding inside a cave. I brought a flashlight, just in case someone was a little afraid. The lesson went very well. Since we were inside the "cave" the children listened very closely. They didn't want to miss anything. For our craft, we made puppets using patterns from www.makingfriends.com and we glued them to craft sticks. The children really enjoyed reenacting the story with the puppets. I made up a song that I think goes very well with this lesson. "The Lord is with you, brave and mighty man"
The Lord was with this brave and mighty man. I used this lesson with my boys. I used little figurines to show how Gideon thrashed his wheat. We would thrash, be silent to listen for any Midianites, and then thrash again, and then listen again. They really enjoyed it. Plus, to show how God used only a few men, I used colored buttons and put them on a pile on the floor. Some of more colors than others. We would take out certain colors until we only had a few of one color left. This helped make real how only a few men were used by God to defeat the foe. Thanks for your site! Teaching Concept: You don't have to be big and strong to serve the Lord. God will give you the strength and power you need to serve him. 1. Use a pencil to trace the end of a paper towel roll onto the bottom of the paper bowl. Make a slit all the way across the circle cutting the circle in half. Make another slit the opposite way cutting it in half again. Keep doing this until you have little wedge shapes all the way around the circle. 2. Bend the little wedge shapes out as shown in the picture. 3. Slide a paper towel tube inside the hole, through the inside of the bowl, until it is almost all the way down to the end of the tube. Place a line of glue all the way around the end of the tube and slide the paper bowl the rest of the way down to the end. Press the wedges to the tube to secure. 4. Cut pieces of aluminum foil to fit around the long part of the trumpet. Cut a square piece of aluminum foil for the bowl part of the trumpet. Cut a small circle in the middle. Place the end of the trumpet through the hole in the aluminum and bring the foil all the way up to the bowl and then press the aluminum foil down around the bowl into the inside. Wind a piece of aluminum foil around the handle and secure with tape. Use another piece of aluminum foil to roll up and form a handle. Tape the handle onto the long part or the trumpet. 1. Give each child an aluminum can, a piece of brown construction paper, some red and yellow crepe paper, and some tape. 2. Show the children how to roll up their paper and tape it closed to make the bottom of the torch. Show them how to cut their crepe paper to make a jagged edge and tape it to bottom of the torch. You may want to have the children decorate their cans with stickers. 2. While your students work, ask them what they think the men are holding, what they are doing, and why they think the men are doing it. Tell them that they will find out during the lesson. Play "Who Stole the Snack?" This is a fun way to give out snacks at snack time and reinforce the part of the lesson where the Midianites stole from Israelites. Have your children form a circle. Pick one child to be Gideon and to sit in the middle of a circle. Gideon should close his eyes. Place a bag or box of cookies or other snack in front of Gideon. Pick a child to be the Midianite and sneak up and "steal" the snack and then go back and sit down in his seat with the snacks hidden behind his back. When the child is sitting and ready, all the children should chant, "Gideon, Gideon, where's your snack? A man from Midian took it and won't bring it back." Gideon then guesses who "stole" the snack. If he guesses right he gets to take the place of the child who "stole' the snack. If he guesses wrong, he is still Gideon and another child pretends to be the Midianite. Remind the children about the part of the story where the Midianites had a dream about a huge loaf of bread rolling down into their camp. Play some music. Tell the children that in this game they are the Midianites and a huge loaf of bread is rolling around. They should pass the bread around in a circle trying not to be the person holding the bread when the music stops. The child who is holding the bread when the music stops has to say the memory verse. Put some chairs at one end of the room. Tell the children that the chairs are the camp of the mean men of Gideon. Tell them that you are going to pretend to be Gideon and they are your army. Tell them to follow you and do exactly as you do. "When I blow my trumpet, you should blow your trumpets and shout, "a sword for the Lord and for Gideon." Lead the children over to the camp. Walk very slowly and on your tiptoes like you are trying to sneak up on the camp. Tell the children to walk very quietly. Direct them with your hands to stand around the camp. Blow your horn and have the children blow theirs. Have the children follow you as you pull your torch out from the can and drop the can on the floor. Hold up your torch and shout, "a sword for the Lord and for Gideon." Sing to the tune of "Little Bunny Foo Foo"
Gideon is brave and mighty. He will save his people. Through God's power we all have strength. One shout, two shouts, three shouts, four. We constructed Gideon's torch in a pot using a small flashlight, a paper lunch bag, a toilet paper tube, a small strip of tag board and some tissue paper. (Make sure flashlight will fit in the TP tube!) Also need, tacky glue, rubber band. 1. Cut the top off the paper lunch bag about 1 inch higher than the tube. (about 3 inches) Save the top. 2. Cut the top to form a long strip. Cut the strip in half to form two shorter strips. Cut one on these in half. Fold all strips in half lengthwise. Fold again. 3. Place the tube in the lunch bag. If needed add part of a crumpled newspaper around the tube to give the bag a rounded shape. put glue on the top 1/2 inch of the tube - then press the top of the bag around the tube. Use a rubber band to hold. Once glue has set, take the longest strip made from the bag top and glue this around to cover the raw bag edges. Use rubber band to hold. 4. Take the shorter strips and form in "C" shapes. Glue to either side of bag for "pot" handles. Hold to set. 5. Take a 1/2 inch strip of tag board and wrap around top of flashlight. allow enough overlap to glue easily. Don't glue yet. 6. Choose at least 3 colors - yellow, red, orange - to represent fire. Cut large and small flame shapes from all three colors of tissue and glue onto the strip of tag board. Layer and overlap some for a full effect. Allow to dry. 7. Glue the flame strip around the top of the flashlight. use the rubber band to hold. Remind students to wait until all glue is dry before putting their "torch" in the pot. This had a dramatic effect that evening when we turned down the lights and had all the children "light" their torches. 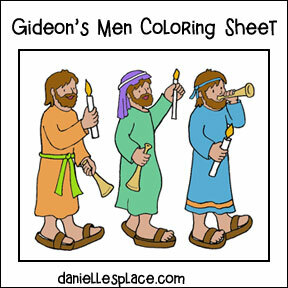 I used the lesson "Gideon Fights the Men of Midian" for my 2-6 year old Sunday school class today. It was a great lesson! The children listened well and remembered the first part of the lesson from last week in the "cave". 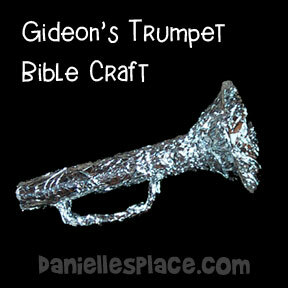 For the craft, we made Gideon's trumpet. I used birthday party hats to make the bell of the trumpet, instead of the foam bowls. Remove the elastic string from the hat and make four cuts from the point of the hat to just over half-way up the hat. Push the paper towel tube in through the inside of the hat and secure the ends of the hat with masking tape. I wrapped the tape around several times. In class, I used the extra wide aluminum foil and the children only had to use one sheet of it to cover their trumpets. We used and second piece to make the handle. They turned out great! !